The program runs from September through June. 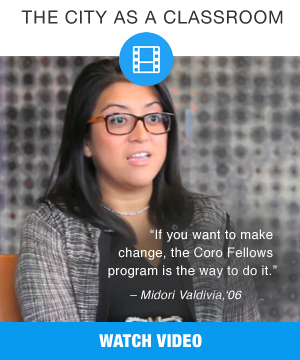 Coro Southern California chooses twelve Fellows who have demonstrated leadership within their academic, professional, and/or local communities.. The Fellows Program has five major components: field placements, seminars, interviews, focus weeks, and community-base impact projects.